Top left moving clockwise: Jackie, Charlene, Harold, Caryl. Jean couldn’t make it to the wedding. I’m glad you guys got to hang out. I t was a lovely wedding and you took really good pictures! Beautiful sciblings… You all resemble each other. 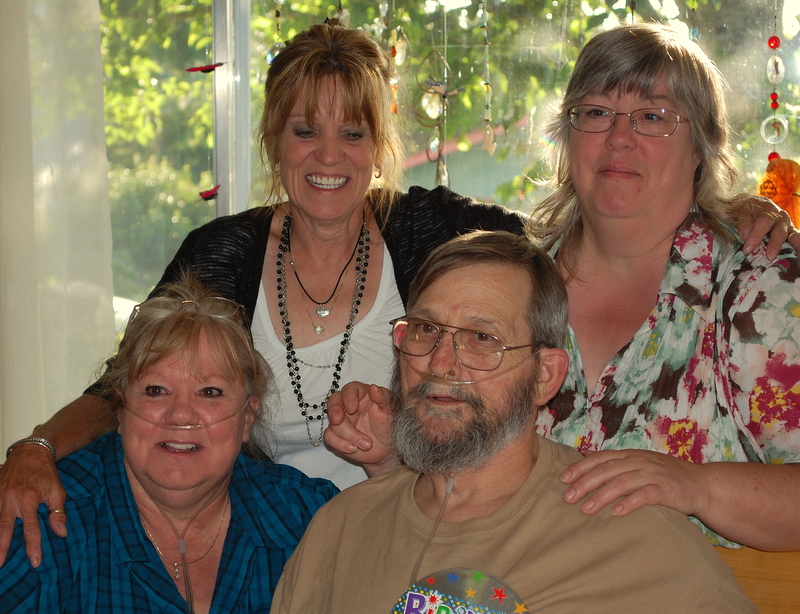 It’s great to be able to get together in person with your sibs …. well the ones you like anyway. I really like the new hair cut. It looks great on you! How sad that two of your siblings in the 2nd picture have serious health issues. But, I loved both photos, because of the obvious love you have for one another. I’m glad you and your siblings were able to get together. 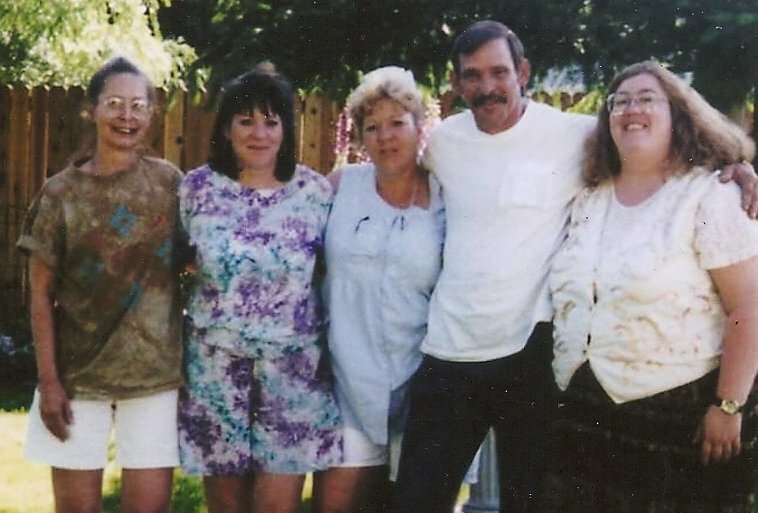 My husband is from a large family and we are finding out just how precious those times together can be…we lost the sister just above him in age last summer. The first of the siblings to pass and it has wakened them all and made them let go of the small stuff so they can cherish the big stuff. Weddings are so good for mini-family reunions! Glad you were all able to get together. What a nice reunion with your sibs. And I’m glad you captured the moment with a photo! So glad you are working out the Google issue. Sometimes technology can be frustrating to say the least! Lovely. Glad you got to spend time with your family. I miss mine… even though the drove me crazy. What sweet photos, Charlene. I guess it’s OK to call you Charlene now? I agree with Gigi. It’s beautiful to see the love that’s quite plain in the photos. That new photo of you in your profile is wonderful. I love it.